Microsoft has just launched the spruced-up Xbox One last week, introducing some nifty updates and new features to the video game console after roughly eight years since it first saw the light of day. But the saga does not end there, some more spices are coming to the Xbox One. Bob Heddle, Microsoft’s director of Kinect for Windows, announced that Redmond would roll out the next-generation Kinect for the console in 2014 with a natural technology dedicated for businesses and organizations to build their own enterprise apps. That means Microsoft is shipping a software development kit along with the new Kinect for Windows sensor. 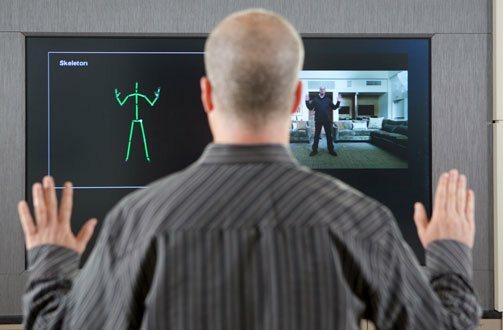 The software giant developed the Kinect sensor and Kinect for Windows sensor using shared technologies: gaming and entertainment for the Kinect sensor and computing for the new Kinect for Windows. Kinect sensor comes with an HD camera with a noise-isolating microphone for clearer voice recognition amid a crowded room. The fresh sensor also introduces Microsoft’s native Time-of-Flight feature that gauges the time that a single photon takes to spring from an object or person for accuracy and precision. The technology is used to measure motions and other fine points like rotation of wrist and position of the body at one point to another. Developers are also part of the key beneficiaries of this update. With the sensor’s higher fidelity, the Windows community can build technologies capable of sizing up an individual’s form as well as surrounding objects and details. Compared to the legacy sensor, the new Kinect has been expanded in terms of the visual field to make enough room for spaces with varying sizes and configurations. The development is expected to help developers create clicker-free scenarios, better simulations, closer interaction and smoother motion and voice recognition technologies. From the tip of your toes to the ends of your hair, the new Kinect sensor is designed to track every single wave and gesture of the human body, including our six skeletons all at the same time. Additionally, it brings users to whole new worlds of scenarios and improves solutions to keeping your body fit. By that is meant not only a single person, the sensor can accommodate multiple users at once. The legacy Kinect sensor only supports audio, depth and color. Now, a fourth sensor is added: active infrared. The new IR backs operations in any lighting mode. Especially in low-lit environments, the active IR can detect facial features and hand gestures in full details.